That day, coming back home from work, I found mum in the kitchen. She was preparing dinner, her glasses lowered on her nose, a faded apron that could not protect her from oil splashes and clumsiness, a family prerogative, and an old woollen sweater to keep her warm. The wooden stove was crackling in a corner, the heat spreading from there straight to your bones, welcoming you home like a hug. Although it was barely seven o’clock, everything was ready. Mum has always loved to be ready well on time. The table was almost set, a pot of minestrone was simmering on the stove. From the sharp smell in the air and from the noise of the hood fan, competing with the news in the background, I realised that mum had burned the onion for the umpteenth time. She gets easily distracted, she puts the pot on the highest flame and she scrapes in the thickly sliced onion when the oil is already too hot, turned transparent by the heat: a few seconds and the onion begins to sizzle, it sticks to the bottom and eventually, invariably, burns. Mum does not give up, she pours the frozen vegetable soup from the bag directly onto the burnt onion. The vegetable cubes hiss and spit, she covers them with water and lets them cook until the soup reaches the exact hue and thickness that she seeks, the only way she has ever eaten the minestrone. The burnt onion is the hallmark of mum’s minestrone, it leaves a smoky and sweetish aftertaste. Over the years I learnt to recognise the taste of home in that soup. Mum, leave the minestrone for tomorrow, I’ll make a risotto tonight. Since I had started reading cookery blogs, I had discovered new ingredients that had never crossed the gates of my house: butternut squash, to name one. Slicing the squash and hearing the sharp noise of the knife cutting through the pulp, caressing the smooth and irregular rind, toasting the rice until it becomes translucent and starts to pop, almost like popcorn, that’s what I needed. I felt the physical urgency to stir the butternut squash pulp into the rice, with dedication, holding the wooden spoon so tight that I could feel all the fibres. I needed to stir until the squash would dissolve into the rice, melting into a sunset. Only that could make me forget another bad day in a job that I had stubbornly pursued, but that was now taking away from me that enthusiasm and that smile that had been my distinctive traits for a lifetime. Once again cooking was saving me. 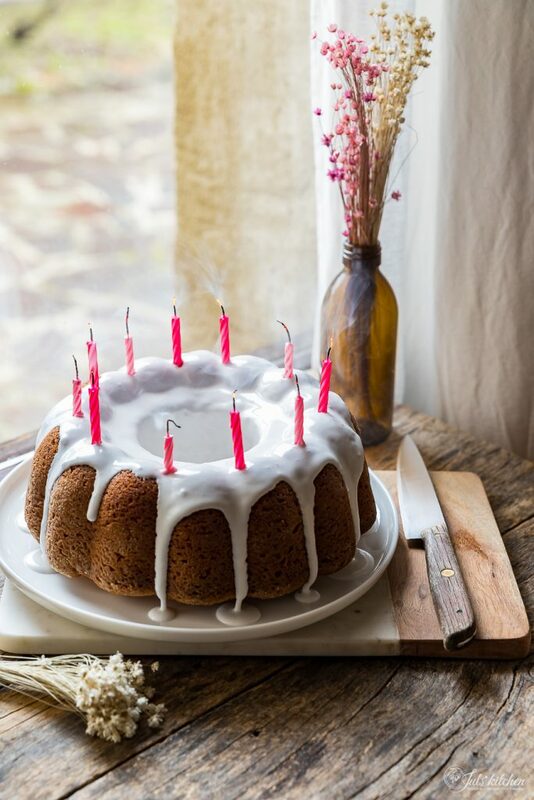 In high school, I would try to make new friends by bringing a home-made cake when there was an opportunity to celebrate something, even though I would usually end up talking about recipes with the teacher, or the janitors. The cakes did not make me as popular as sharing my Latin homework as soon as I arrived at school, but they were a great topic of conversation during the break. My cooking skills, though, turned out to be useful at the university: my lasagne opened the doors of many parties, even though I would immediately search for a safe place behind the kitchen door. I had begun to understand that knowing how to cook was not just fun, but a resource, a therapy in the darkest days. Later, in my bedroom above the kitchen, I saw myself reflected in the window facing the darkness of the winter countryside: outside just a deep darkness, all the lights of the farmhouses that dotted the opposite hill in summer gone. I impetuously typed a few sentences, finally feeling the passion flowing again in me. Publish. It was the 1st of February 2009, and I had just begun my new life. Since that moment, 10 years have passed. On one side, they flew. On the other hand, I do not even remember how life used to be before the blog, as it totally changed my way of perceiving the world: I pay more attention to the stories that surround me, to what I eat and what I cook. I had not started a blog to change my life, but somehow it happened. Thanks to Juls’ Kitchen I have a job that I love. I met Tommaso thanks to this blog. I met you, who read this pages on the train, or on the bus in the morning. You, who read the blog in the office lunch break, or at breakfast, before everyone wakes up. I met you, who never tried a recipe, even though you promised to do it soon, or you, who know by heart the ingredients of the apple cake and of the pork loin. I also met myself, hidden in the kitchen, a bit intimidated, but always confident that something good was on its way. 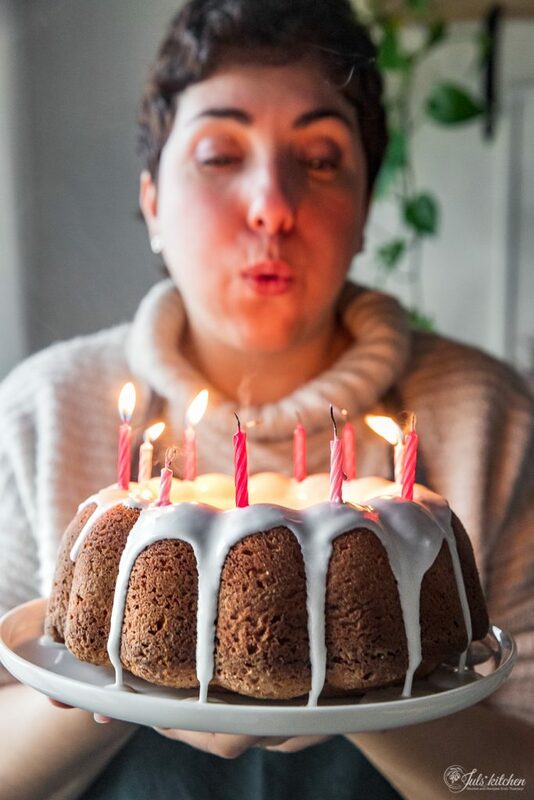 Today we have a surprise for you to celebrate 10 years of Juls’ Kitchen. We would like to open the doors of our kitchen studio, have you sit down with us, to chat over a cup of tea and a slice of apple cake, or maybe feasting with a bowl of home made pici. Many times, in these years, this blog helped us to overcome barriers of space and time, to feel close, as if, looking up from this computer, I could see you sitting on the other side of the screen. Thanks to the Fettunta Party and to the cooking classes so many times we managed to meet you in real life, but it was not enough. This is why we decided to celebrate the 10th anniversary of Juls’ Kitchen with our first giveaway, choosing as a first prize a meeting in real life, in between the market and the kitchen. Let’s see how it works. The giveaway is open to participants of all nationalities and will end on February 14th. On February 15th we will be live on Instagram to pick three lucky ones with CommentPiker, and we will announce the winners both on Instagram and here on the blog. Congratulations @azaharcuisine, @warmandwolly and @lauraelesuericette! And now, we are asking you for a gift to celebrate these 10 years of Juls’ Kitchen. Tell us which is the post you liked the most in these years of blog? Was there a recipe you liked so much that became part of your family routine? Or do you remember when you first came across Juls’ Kitchen? And now, drum roll, we are also super excited to introduce the latest novelty. Today we launch Cooking with an Italian Accent, the first podcast by Juls’ Kitchen. It took months to Tommaso to convince me to try, as I can’t stand to listen to my own voice, especially when I speak English. Eventually I took it as a game, and I thought I could have fun. I believe that a foreign accent is a sign of bravery, so I put aside my sense of inadequacy in speaking a language that is not my mother tongue and all those questions that often crowd my mind: Am I good enough? Will I be interesting enough for people to read me? or listen to me? So here we are, trying our first experience with podcast without expectations, only with the intention of having fun and communicating through a different means that very same passion that has brought us here. First it was just the blog, then the social media came, then the videos, now it is time for podcasts. This does not mean that we will abandon the written words. 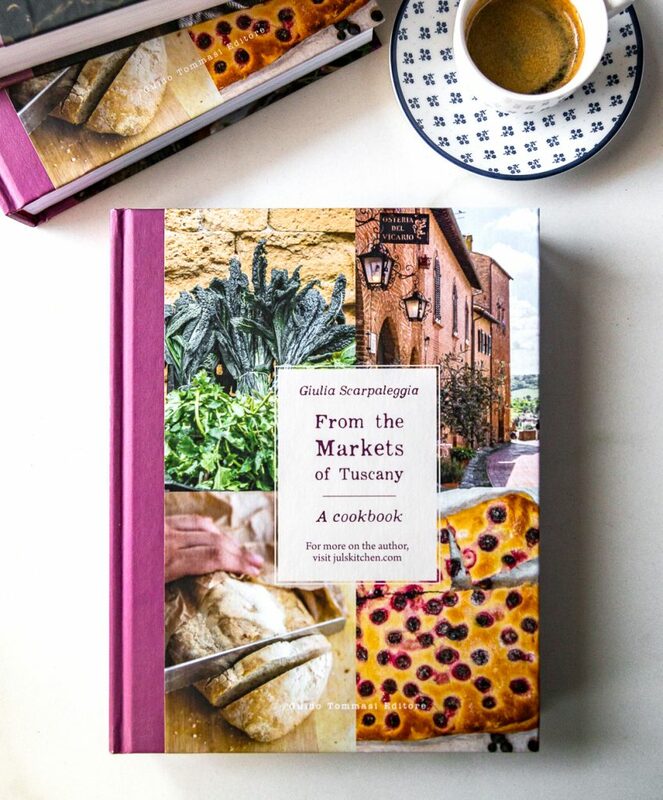 I never get tired of repeating that, for us, the blog is still the main focus, it is where we write recipes and stories, a diary and an archive. We use social networks to connect and share behind the scenes, but with the podcast we aim at an even more intimate, warmer communication. Will it work? For us it will last until we will have fun doing it. 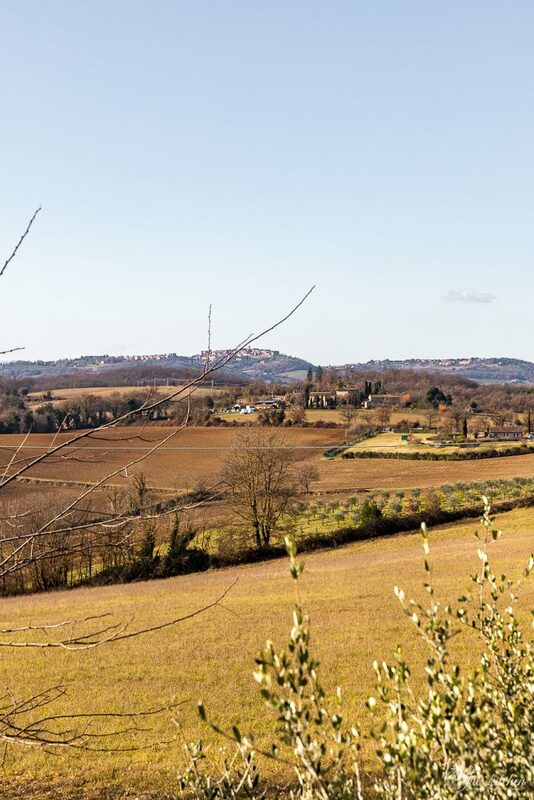 We started quietly, with a few episodes where I talk about my life-long love for food, to warm up and get familiar with the new medium, then there will be episodes in which we will talk about Tuscan and Italian cuisine, family recipes and seasonal ingredients, in which we will interview friends and producers. I’m not here to pontificate, there won’t be traditional recipes carved in stone, or absolute truths to bow to. We will just talk, as if we were sitting around the same table, as if we were in the kitchen together rolling out the fresh pasta or keeping an eye on a meat sauce simmering on the stove. Today we launch the trailer and, from Wednesday, every week, a new episode will be released. You can find all the information on how to listen to the trailer and the next episodes on the blog page Podcast: Cooking with an Italian Accent. We do need your support now! Let us know what you think! Love love love the podcast!! Happy 10 years! Thank you for sharing your life and your love of food with us on Facebook. My favorite Tuscan recipe is pici pasta. My husband and I enjoyed eating this when on vacation in Italy and then making it at home. We liked it so much that after he died, I chose to host a Tuscan dinner in his memory during which I taught our guests to make it. I’m looking forward to your podcast! Congratulations on 10 years! Beautiful writing, as always. I look forward to following the podcast! Congratulations on your 10th anniversary! Found you recently through @zoebakes and just received my copy of your From the Markets of Tuscany! After spending some time in Tuscany this fall, I can’t wait to dive into your book and explore your blog some more. Keep the beauty and flavor coming and again – Congratulations!! You have taught me how to cook Italian food, as if you are in the kitchen with me. I am a Mom, who. Came to Florence 7 years ago to study at University. I met a Fiorentina man, and my diet changed, for the better. I am American that fortunately always ate fresh Whole Foods, But I found my uomo had particular tastebuds – and my fave foods didn’t tickle his Italian tastebuds. What was I to do? Search for REAL Italian food recipes – that is how I found you. I loved your style – story telling and recipes together. You helped me to not only learn about Italian cuisine, but also your culture through stories. I use your sight like my cooking bible – and Emilio Davies also. I yearn to meet you someday and do cooking face to face – and hear stories too! With a surplus of figs and grapes and plums – and apples – I made Settembrina marmalade. It is so exquisitely delicious! Every mouthful makes me think of fall and my harvesting in the hills.My boyfriend Marco just loves it too. In fact I must hide the jars! So the jam lasts the winter. Auguri Giulia and Tommaso! Your first podcast is fantastic and I am so excited to subscribe once it is available on iTunes! Bravissimi! Hugs from Texas! The podcast is wonderful! It is filled with so much warmth I could hear your smile! I cannot wait to hear them all- and to learn even more from your kitchen! Congratulations on 10 years of following your dreams! Congrats Giulia, 10 years wow! I rarely comment but always enjoy your writing and recipes. Congratulations on your blog’s 10th birthday! All your blog stories and recipies are wonderful and it is very difficult to chose one. I remember being so amazed by the importance you always give to basic ingredients that bring the flavor of a dish to a higher level, as for example your tomato paste. But I will choose your mother’s tiramisu recipe, as I make it often and always get congratulated for it. the pudding looks so delicious. Congratulations on ten years of blogs and the start of your podcasts. I love making meals out of authentic regional recipes. I have my own small garden and my favorite recipe that I have made so far was your pasta with burst cherry tomato sauce for 2018. Go to the garden and pick a few cherry tomatoes and some basil …. super fresh and delicious. It is like we are in your kitchen again when I listen to the podcast. I’m back and my heart fills with good memories. We loved going to the market with you. We make our own ‘ pici’ now. I’m trying tot cook every recipe from your book. Congratulations ten years is really not ten days, may you have many more to share.